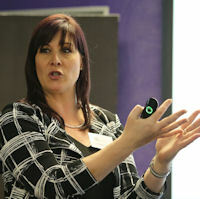 Dr Nic Spaull is a well-known education researcher in South Africa. 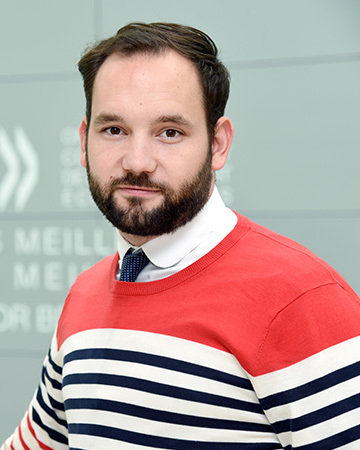 He has recently returned from Paris where he was a Thomas J. Alexander Fellow at the OECD. Before that he was a Visiting Scholar in the Graduate School of Education at Stanford University in the United States. 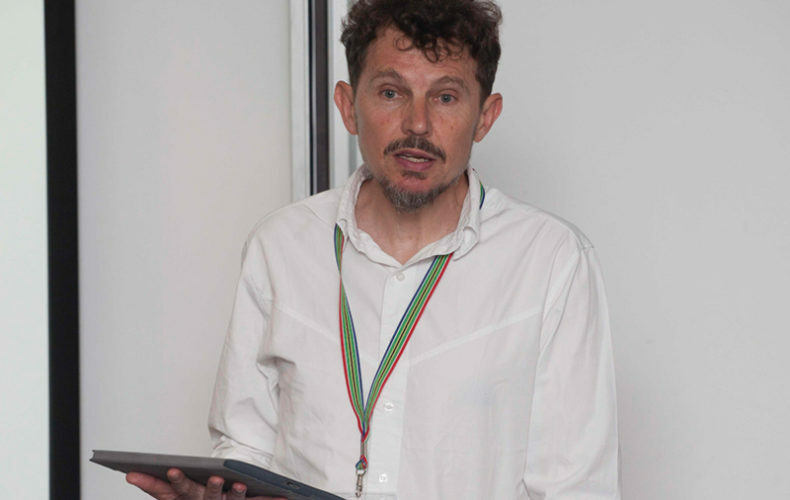 Nic has a PhD in economics and has published numerous journal articles on education focusing on assessment, accountability, literacy and education policy in South Africa. 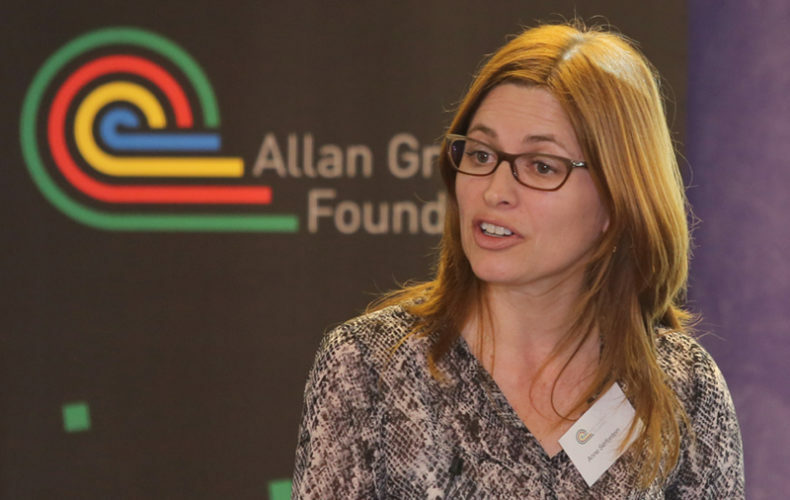 Alison is the Chief Director of Districts Operations Management in the Gauteng Department of Education. She is managing five Educational Districts’ offices comprising 860 schools within the Gauteng province. Her expertise includes motivating and influencing others to drive change. She is also passionate about the development of leaders in education. 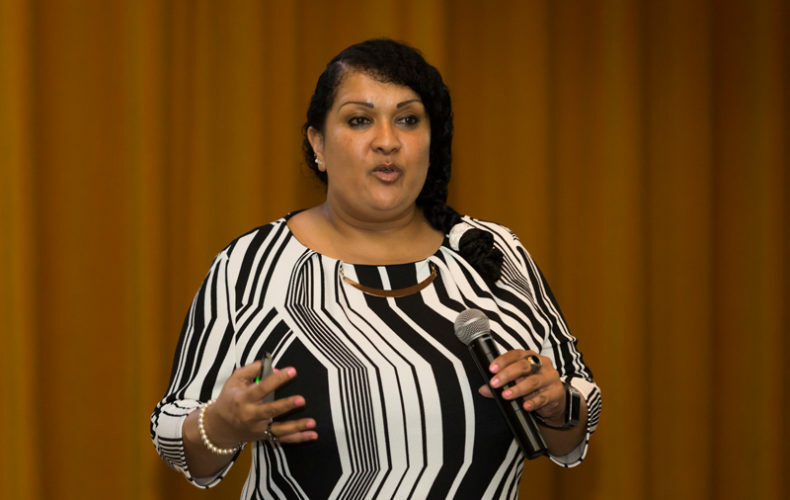 Her legal and human resources qualifications have assisted her in being able to navigate the complex system of education and create powerful teams for driving change. 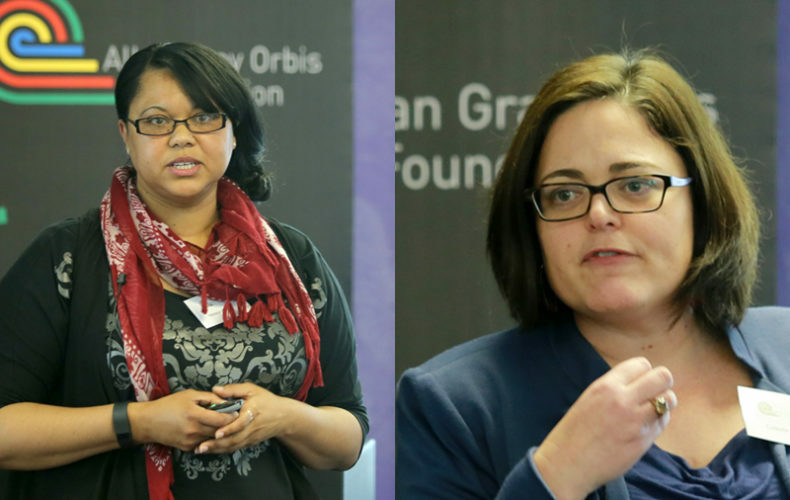 Mia Bunn is an expert in psychometric evaluation and has worked intensively with the Allan Gray Orbis Foundation on their assessment processes. 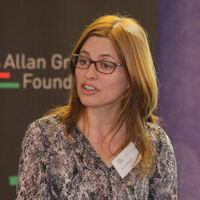 She joined Deloitte Consulting in 2008 after spending five years in London with the Granada Learning Group. 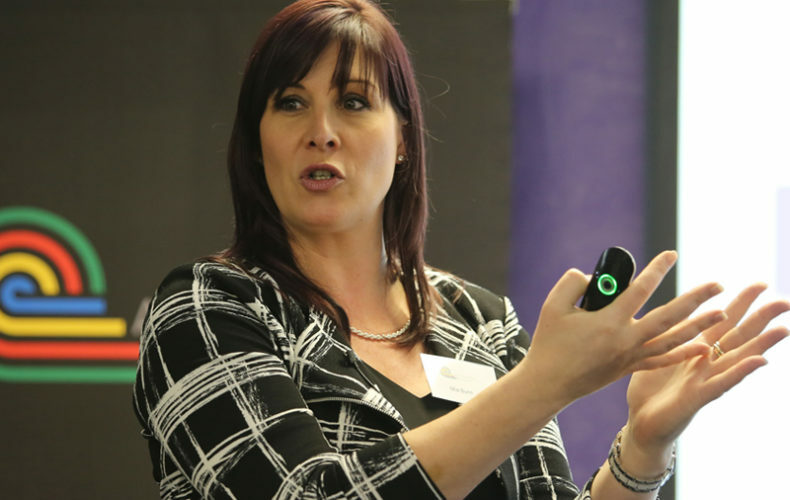 Mia has more than 14 years’ professional experience and her areas of specialisation include Selection and Assessment Frameworks, Assessment Centres, Talent Management, Succession Planning, and Learning Solutions. She has managed a multitude of projects related to the design, development and implementation of selection and assessment frameworks and processes; and has, through this exposure, gained an in-depth understand- ing of the complexities surrounding various areas of Human Capital competence. 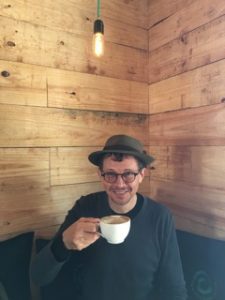 Robert Prince is a senior lecturer at the Centre for Educational Testing for Access and Placement, previously called the Alternative Admissions Research Project, in the Centre for Higher Education Development, University of Cape Town. Robert coordinates the development of psychometrically sound tests in academic literacy, quantitative literacy and mathematics. The results of these tests can be used to augment the results in the school-leaving examination and attempts particularly to identify educationally disadvantaged students who have the potential to succeed in higher education, given the appropriate academic support and curriculum structures to address the learning needs of those students thus identified. He aims to contribute to the development nationally of expertise in the area of testing for admission (selection and placement), teaching and learning and curriculum development. Dr Celeste Nel is the deputy director of the Centre for Student Recruitment and Career Guidance, and the Head of Admissions and Residence Placements at Stellenbosch University. 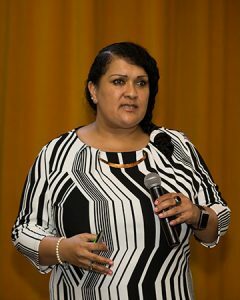 Dr Celeste Nel started her career in education as a high school teacher in the Northern Cape in 1995 and joined Stellenbosch University in 1997 as a student recruiter for the University’s division for Marketing and Communication. Her involvement in student recruitment activities led to a keen interest in the challenges that students experience in their transition from school to university – especially first generation learners form educationally disadvantaged backgrounds. She received her Doctorate in Higher Education in this field in 2008. Dr Natasja Brown works at Stellenbosch University’s Faculty of AgriSciences as the Coordinator: Academic and Student Affairs. In this role she is, amongst others, responsible for supporting new student transition, improving the academic experience of undergraduates, advising at risk student, mentor and tutor programmes for at risk students and general academic and wellness support to students within the Faculty. 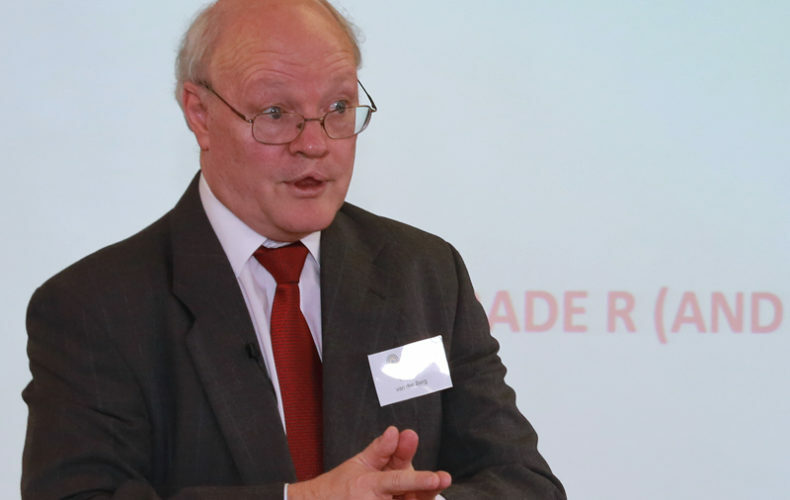 Professor Paul Hobden is a retired academic who now works as an education consultant. 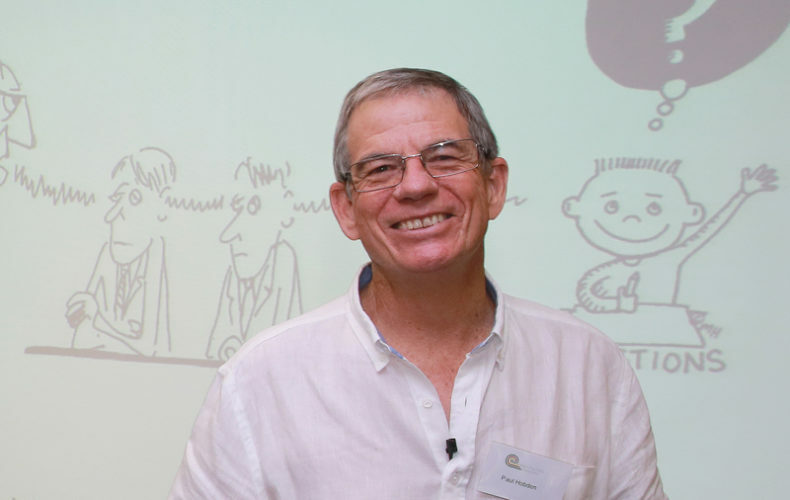 He is the founding partner in a consultancy with Dr Sally Hobden, Quality Projects in Education which focuses on commissioned research, evaluation and training in science and mathematics education. Paul has a Bachelor of Science in Chemistry, a Master’s in Education and a Ph.D. in Physics problem solving. Paul has worked in the field of science education for the last 35 years. His work experience started with appointments as a school science teacher and then a university lecturer in science education at University of Durban Westville. Ann Morton has been the principal at Pinelands North Primary School for almost twenty years. This timespan has been characterised by great change in South Africa, and also in South African education. Under Ann’s direction, Pinelands North has weathered the changes well, making it one of the most sought after in the district. Besides a passion for education leadership, she delights in teaching the very bright child. 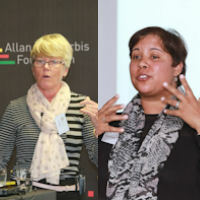 In 2008 she introduced a programme which provides academic, social and emotional support for these children, and Ann has just been to Denmark to present the programme to the conference of the World Council for Gifted and Talented Children. 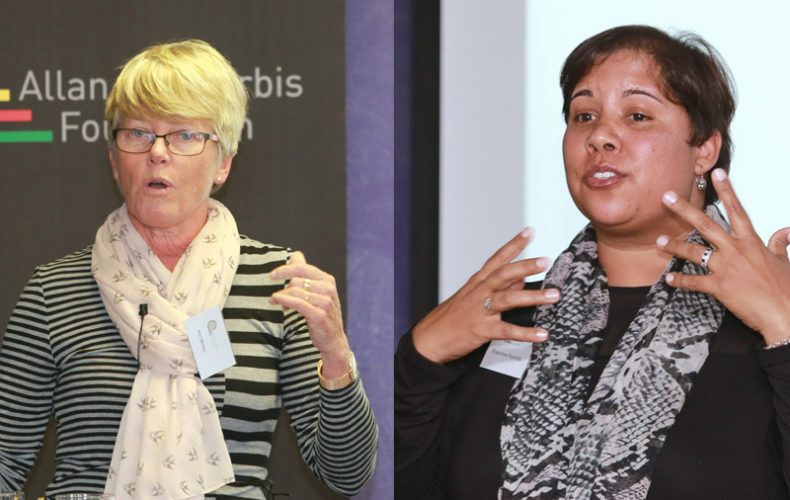 Ann is recognised as an innovator in inclusive education by the WCED and nationally, so come and hear the story of how the school prepares their pupils for life by providing emotional and social support right the way through their schooling. 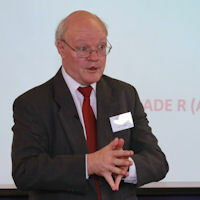 Professor Servaas van der Berg is a Professor of Economics at the University of Stellenbosch. 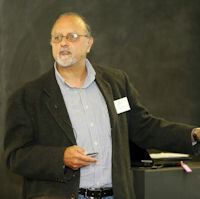 He holds the South African Research Chair in the Economics of Social Policy. The focus of his research is on poverty and inequality, and the social policies that influence that. He has thus done considerable research on the Economics of Education, both in South Africa and in Namibia. 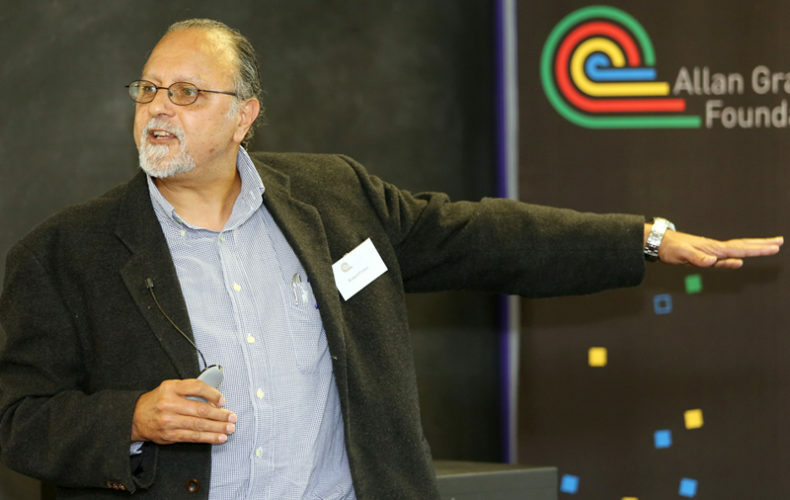 Professor Pedro Tabensky is the founding director of the recently formed Allan Gray Centre for Leadership Ethics (AGLE), nested in the Department of Philosophy, Rhodes University (South Africa). A central, but by no means only, aim of the AGCLE is to help transform the South African secondary and tertiary education sectors. He is the author of Happiness: Personhood, Community, Purpose and of several articles and book chapters. 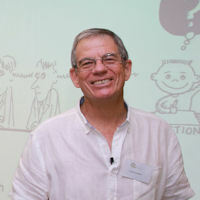 Tabensky is also the editor of and contributor to Judging and Understanding: Essays on Free Will, Narrative, Meaning and the Ethical Limits of Condemnation; The Positive Function of Evil; and, coedited with Sally Matthews (his wife), Being at Home: Race, Institutional Culture and Transformation at South African Higher Education Institutions. He is currently completing a solo-authored book entitled Anti-Perfectionist Ethics, which he aims to complete in 2017. Until 2016, Tabensky ran a yearly roundtable series on critical issue in higher education—CHERTL Roundtable Series on Critical Issues in Higher Education—and is a regular commentator in the national and international media. He is also working with Paul Taylor, Samantha Vice and Uchenna Okeja on starting up a project that spans the entire South African philosophical community aimed at helping catalyse transformation across the sector. The session that I preceded was aimed to give those present a sense of what the IiNtetho zoBomi or zoBom programme (formerly called Existential Conversations) is all about. 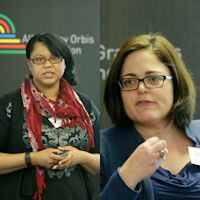 This programme has been designed and is implemented by the Allan Gray Centre for Leadership Ethics at Rhodes University. What the programme aims to do is to show participants (learners, university students, politicians, etc.) that ethics is not really about doing something that is detached from life, as if it were first and foremost a kind of toolkit for conduct or a list of rules, as the rules one has to learn to pass a drivers test. Rather, we are ethical beings insofar as we have to learn to manage the muddle inside us, a muddle which is very easily corrupted by internal and external pressures. To be ethical is ultimately to understand who we are and to act in accordance with this understanding. Indeed, we show participants the extent to which being responsible for our lives in a genuine way involves hard, directed, but worthwhile work. We aim to show participants how these pressures operate to distort our minds, how it is, for instance, that we can become racist or sexist without even noticing that that is what we have become, as evidenced by the Doll Test and by the Throwing Like a Girl advert. Ideally, we should aim to be effective ethical agents, that is, agents that understand how to live in a genuinely embodied way. We currently teach 250 Rhodes students (if we didn’t cap registration at 250 students we would probably have more than 1000 students by now). Students love it even though it is an emotionally demanding course. We have also piloted the course with a small number of pupils form St Andrews in Grahamstown and with a significantly larger group from DSG, also in Grahamstown. They are also extremely enthusiastic about what we do. The general idea is that the programme will have a transformative effect in the lives of those taking it. Our country needs a new type of leader and zoBom offers participants the opportunity to grow as effective ethical agents, that is, leaders, we think, in the deepest and most fundamental sense.